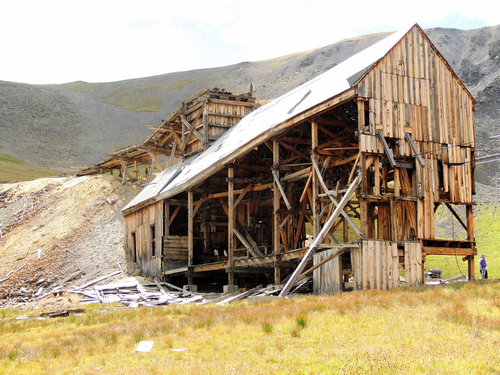 The Buffalo Boy was worked during, after and with the Old Hundred Mine and ore was taken down the mountain by tram to the Niegoldstown area mill. 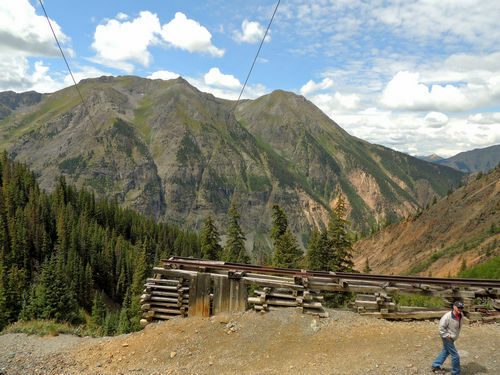 The tramhouse at the mouth of the mine is still in fairly good shape, and suspension cables still come out of it and head down the hill. The original tram terminal at the bottom has been converted into a private residence and is not open to the public. You can see it beside the Stony Pass Road in the bottom of the gulch. Cables still lead into it. 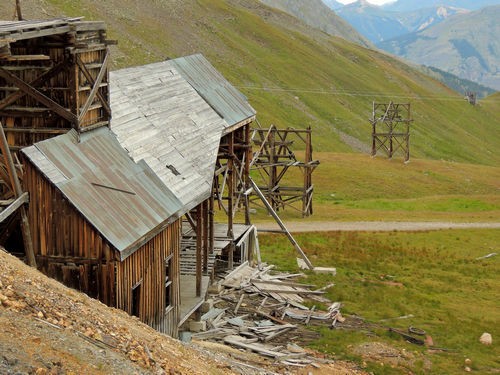 Follow the track beyond the tramhouse to a great 13,000' viewpoint. 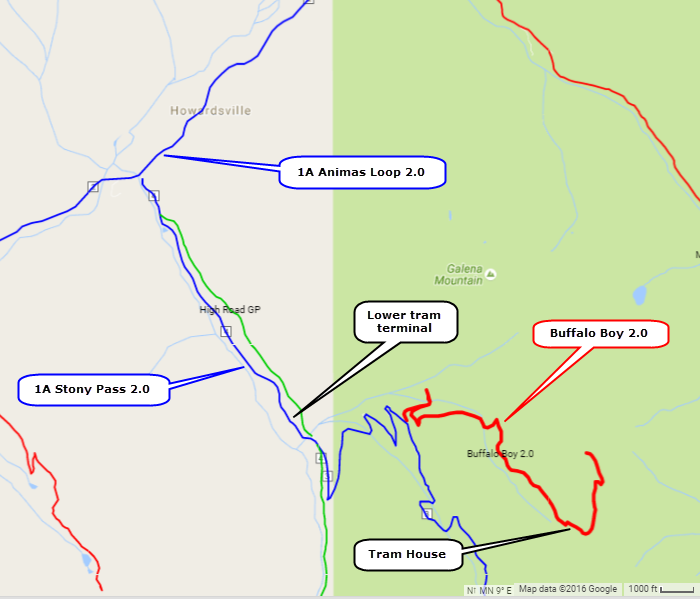 Shortly after you turn off Stony Pass Road is a road to the left. 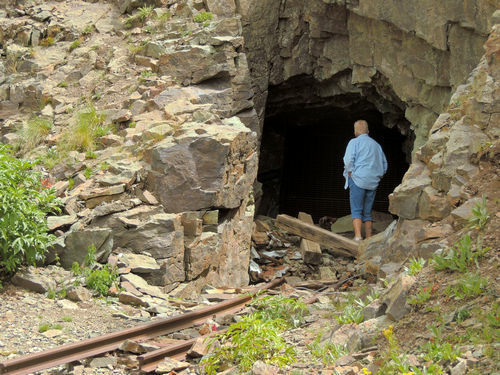 This leads to the Gary Owen Mine. Worth a quick visit. Cables still run from the upper tramhouse to the tram terminal at the bottom. You can see them overhead as you drive up, and also on the 3 towers leaving the tramhouse. 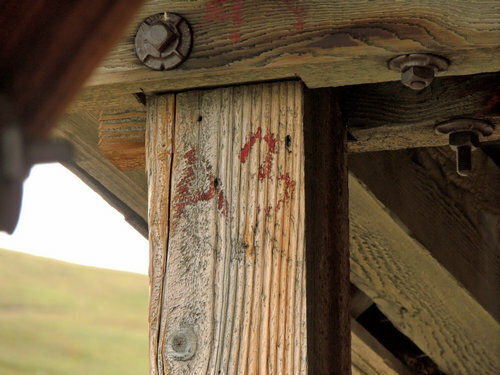 It appears the tramhouse was constructed in another location and the components were numbered. 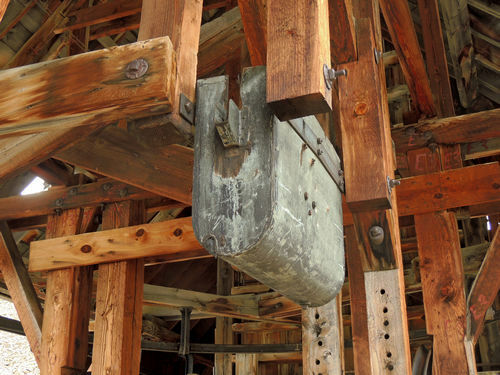 The structure was then dismantled, shipped to this location and reassembled. 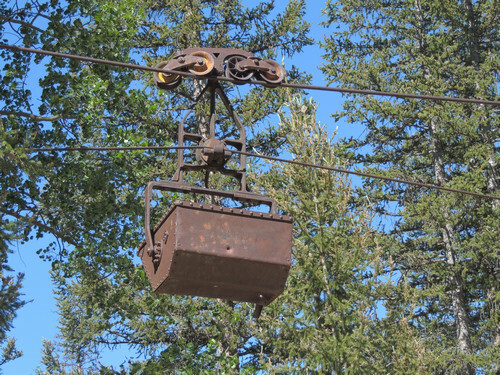 Ore buckets hang from fixed suspension cables and are propelled by a continuously moving haul cable. Empty buckets from below reach the circular rail shown in the upper tramhouse and the haul cable is disconnected. 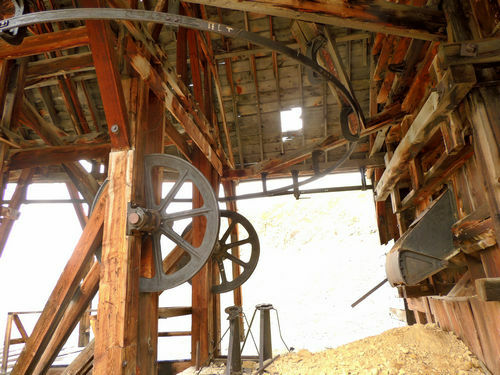 Buckets are moved by hand to the ore chute where they are filled. They are then moved around the rest of the circular rail and the haul cable is reattached and the full buckets head downhill. Haul cables ran over the large pulleys and down to the engine, gears and other pulleys located beneath the floor. This system provided the propulsion. ​The haul cables ran through the bucket device pictured. Not sure exactly what purpose it served. Power cable ran through this. Possibly for oiling.